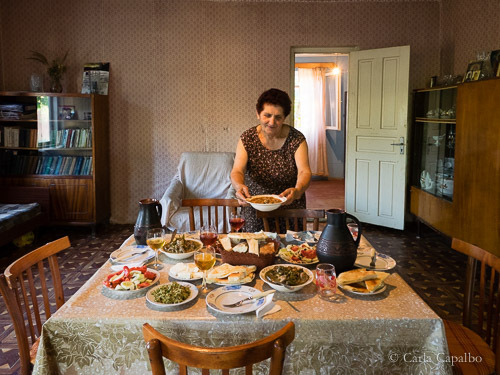 In Caucasian Georgia Abundant Hospitality Defines and Defends the Country’s Culture. This is natural winemaker Gogita Makaridze’s mother, at their home in Imereti. It is one of the images from my soon-to-be-published book, TASTING GEORGIA: A Food and Wine Journey in the Caucasus, out this summer.